When political upheaval in Myanmar forced 17-year-old Trudy Mawlay and her two sisters to flee their country and live in a refugee camp in Thailand, little did the girls know that a happier and more productive life was waiting for them halfway across the world. 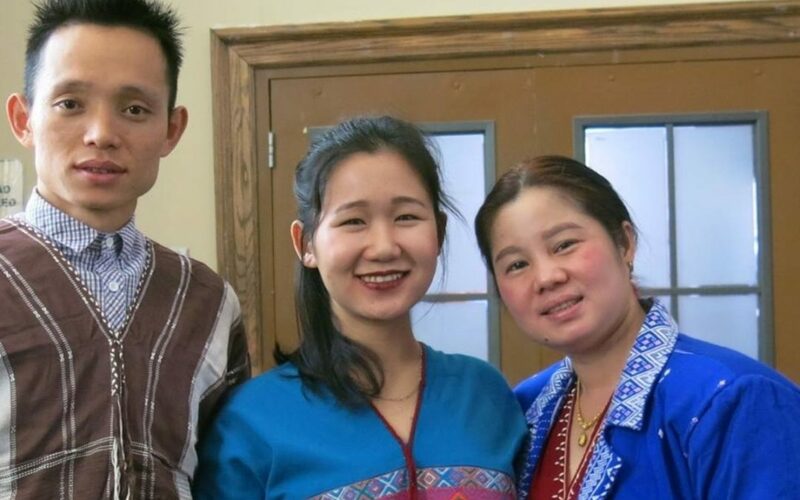 It has been 10 years since the sisters left the refugee camp to arrive in Canada along with other members of the Karen community, a minority ethnic group which has been displaced due to the ongoing insurgency in Myanmar. “The early years were so hard. I started going to high school without knowing the language or understanding the culture. Naturally, I struggled very hard to make sense of my surroundings and to make new friends,” recalls Trudy. Over the years Trudy has transformed from a quiet teenager unsure about herself to a confident, well-educated young woman who now works tirelessly to support the youth in her community. Trudy was a volunteer in the earlier years and assisted in arranging events, meetings and outdoor activities, while studying at University. Trudy says that most members of the OKYC come from Karen families where parents work full-time and often don’t have the time or resources to be engaged in their children’s lives. Staff members and volunteers of the centre reach out to the youth either on social media or through their parents. Trudy adds their aim is to decrease the isolation of the youth within the community and to provide a safe space where the they can share their knowledge and experiences.